Next you’ll discover the secret to selecting stocks and ETFs with options offering the absolute greatest profit potential. You’ll learn how to increase your percentage of winning trades by exploiting three characteristics inherent to all options. You’ll find out the truth about risk and learn an easy way to cut your risk to the bone. And you’ll see first-hand how easy it can be to grow a small account into a $1.7million fortune with an average return per trade of 223.5%. *Trading carries risk of loss. Individual results will vary. Full disclaimer here. 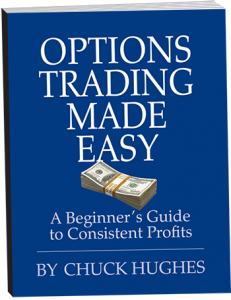 Chuck is an eight time winner of the World Trading Championship and has more wins than any other trader in the history of the competition. 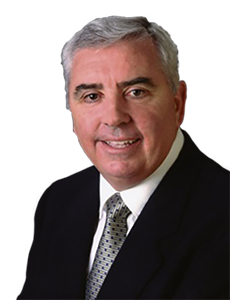 Chuck is certainly very knowledgeable and experienced and he has a remarkable track record! Chuck is a great presenter!! I thoroughly enjoyed his riveting presentation and I look forward to others in the future! Thanks again and thanks for download! I realize this is a ‘support’ email address but I just wanted to let you know how pleased I am with my decision to join the Advisory. Only been a member for a few months but already my $25,000 investment is already up to over $36,000! A 45% increase and this during a period when the market was going nowhere (includes the ‘sell in May and go away’ period). I live in Australia and so have encountered some small difficulty with timing of advice due to the time differential but anyway, Wow! Outstanding!! Hi wanted to take a few minutes to tell you how extremely happy I am with your service. I signed up about a month ago, but took a couple of weeks before I made my first trade. I started with just over 55k in my account and two weeks later I have over 61k. 10% return. I am very excited about the future. Just a brief note to wish your family and you a very Happy Thanksgiving. Thank you so much for everything you have done for me. I have a true money peace of mind which would not have happened without you. My weekly option strategy based off your methods is working wonderfully! I will give you an update later on this year/early next year. Take care and stay well. Please let me know anytime if I can help you. DISCLAIMER: This methodology includes strategies for trading stocks and options. Trading can offer large potential rewards, but can also have significant risks. You should be fully aware of those risks and be willing to accept them before investing in these markets. Do not invest money you cannot afford to lose. These testimonies do not represent typical results of our clients. They are examples of what a few of our students have achieved by using our investment strategies. These results are not intended as guarantees of return. The background, education, experience of these testimonies are vastly different. As a result your experience will vary. These clients were not compensated for their testimonials.